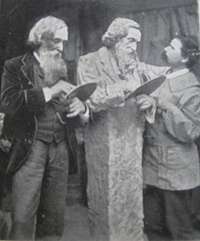 While staying in Grundy's Hotel, Preston, Lancashire in April 1887, during his work on decorative modelling for the Harris Museum and Art Gallery, Cassidy received a letter confirming his election as an Associate Member of the Manchester Academy of Fine Arts, a society for professional artists which had been established in 1859. The following year, 1888, he was made a full member and in 1897 he was appointed as Honorary Treasurer, a post which he held until 1923. In 1925 he was made an honorary Vice-President. Presented here is a list of the works exhibited by Cassidy at the Spring Exhibitions of the Academy, based on the printed catalogues in the Academy's archive. The numbers given in parentheses are the catalogue numbers from the exhibitions The lack of detail in the entries, and the fact that some appeared more than once, means that it is often hard to know without further evidence whether a work as displayed was a model intended for casting, or the final result. The prices given are as in the catalogue, and we have included information about the subjects, where known, and extracts from contemporary reviews of the exhibition. The pictures are reproduced, by kind permission, from the Academy archives. We are glad to see again John Cassidy's exquisite bust in alabaster, which has been re-christened "The Spirit of the Mist." Except perhaps in the quality of elusiveness this delightful embodiment of fresh, joyous girlhood as nothing suggestive of the cool, clinging mist. He has also sent a version of his fine group "The explorers" and a dainty and delicately-handled statuette, "The Murmur." As might have been expected, most of the examples [of sculpture] on view are sketch models for War Memorials. There is a small version of the heroic group by Mr. John Cassidy that was on view in his studio two months ago, and which is now being cast for a town in Lancashire, as well as a well-proportioned sketch model for Macclesfield by Mr. John Millard . and one of the most effective on account of its simplicity and dignity is a cross and figure suggested in bronze and stone by Mr. J. Ashton Floyd. This page has been made possible by the cooperation of the Manchester Academy of Fine Arts, and their current archivist Sheila Dewsbury who very kindly arranged for us to have free access to the Academy archives. The Academy continues to flourish after over 150 years: visit their website for more information and details of events. 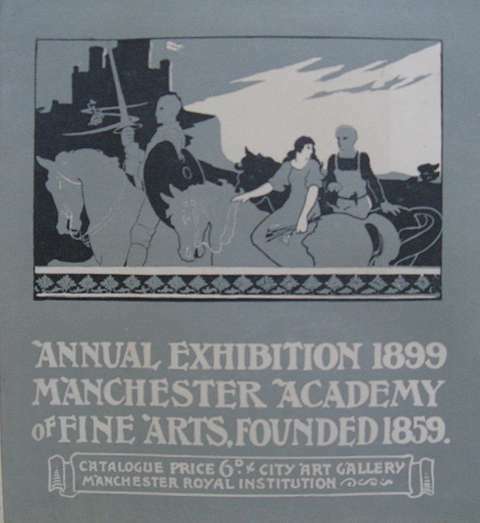 List of works exhibited by Cassidy at the Spring Exhibitions of the Manchester Academy of Fine Arts, 1888 - 1927. The numbers in parentheses are the original catalogue numbers from the exhibitions. The prices shown are those in the catalogue, we have no record of whether the works were in fact sold. The late Charles Mosley, Esq. The cover, designed by John Cassidy of the 1899 exhibition catalogue. W.P. 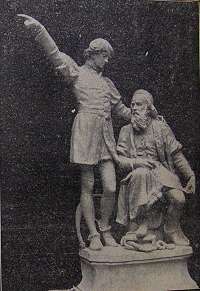 Frith, Esq., bronze (no.268) Lent by J.Gresham, C.E., J.P.
Commerce (no. 286) lent by G.H. Walker Esq. 1915 - no Cassidy entries. 1917 - no Cassidy entries. Members and associates of the Manchester Academy of Fine Arts gathered at their studio in Acomb-street, off Oxford Road, on Tuesday evening, and made a presentation to Mr John Cassidy, the sculptor, in recognition of his devoted service as honorary treasurer. In handing over the gift, a fine old English oak dresser, Mr Francis Dodd, the president, pointed out that Mr. Cassidy was elected a member of the Academy in 1888, and a short time ago he resigned the office of honorary treasurer after nearly thirty-four years' valuable service. When he accepted the position the Academy faced a loss of £730, but as the outcome largely of his efforts the burden was removed, and since then no hitch or pecuniary difficulty had occurred. That very fact testified to the zealous devotion and capabilities of Mr. Cassidy as treasurer. The president made acknowlegment of the kindly help he had personally received from Mr. Cassidy, and in the name of the members and associates he asked him to accept the gift as a small token of their affectionate regard. Mr Byron Cooper, an old member of the Council, followed with a few fitting words testifying to the esteem in which their ex-treasurer was held, both for his unremitting care to the interests of the Academy and as a friend. In reply, Mr Cassidy confessed that the presentation came to him as a great surprise. From the bottom of his heart he thanked the members and associates for this generous sign of appreciation, and the kindly expressions of thoughts which accompanied it. With regard to the gift itself, we need hardly say that he would prize the dresser. Touching upon his long experience as treasurer, Mr. Cassidy cited a few incidents in his dealings with subscribers which showed, as he remarked, that the office was not all beer and skittles. The ceremony over, the company spent the remainder of the time in social converse. 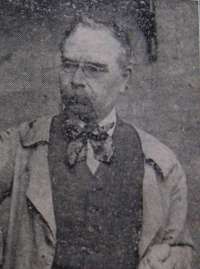 Mr Elias Bancroft, for over fifty years a member of the Academy, and long its hon. secretary, was among those present, although he is on the sick list. To the tribute which was paid to Mr. Cassidy, it may be added that his annual balance sheets were a model of their kind, plain and straightforward, not the least satisfactory feature being that there was always a balance on the right side. 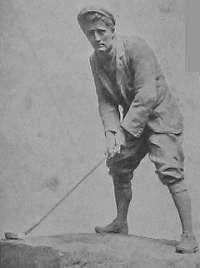 As to his connection with Manchester it extends over forty-one years. He came to the city in 1882. 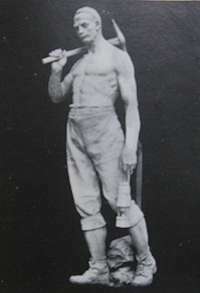 His skill as a sculptor was exemplified in modelling at the famous Royal Jubilee Exhibition at Old Trafford in 1887, which he attended daily throughout the season. 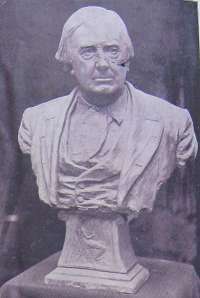 Later he gave a lecture illustrative of his art in connection with a series arranged by the Manchester Libraries Committee, and as for examples of his work, Manchester, in common with other large centres, possesses its share of statues, busts, and symbolical groups and memorials. They include Ben Brierley in Queen's Park, King Edward the Seventh in Whitworth Park, John Rylands and Mrs. Rylands in the John Rylands Library, Deansgate, together with an impressive piece of sculpture in the vestibule of that institution symbolising Theology, Science and Art; the moving tragedy of the sea entitled "Adrift" which stands in the centre of the garden at Piccadilly, and his bronze medallion of Henry Hunt in the Manchester Reform Club. His eminence as a sculptor is recognised not only in London, but in Paris. Mr. Cassidy is a member of the important body known as the Royal British Sculptors, and he is likewise an old member of the Royal Cambrian Academy. Note: In the Academy's archive scrapbook copy of this article, hand-corrections have been made to show Bertram Nicholls as President, and Cassidy's service as treasurer as twenty-six years. Academy records show he was treasurer from 1897 to 1922, and that Nicholls took over as President in 1923. Page by Charlie Hulme, May 2010.